Scottish Field was granted exclusive access to the Balmoral estate and the Queen’s traditional working Highland garron stud. 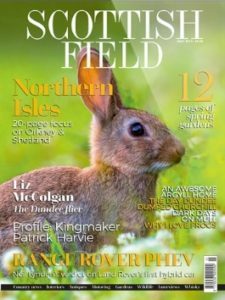 When Sylvia Ormiston and her husband Dochy came to Balmoral a decade ago, their task was to continue breeding the stock – the Highland ponies, Highland cattle and Cheviot sheep – and to restore the farm buildings and land to good heart. 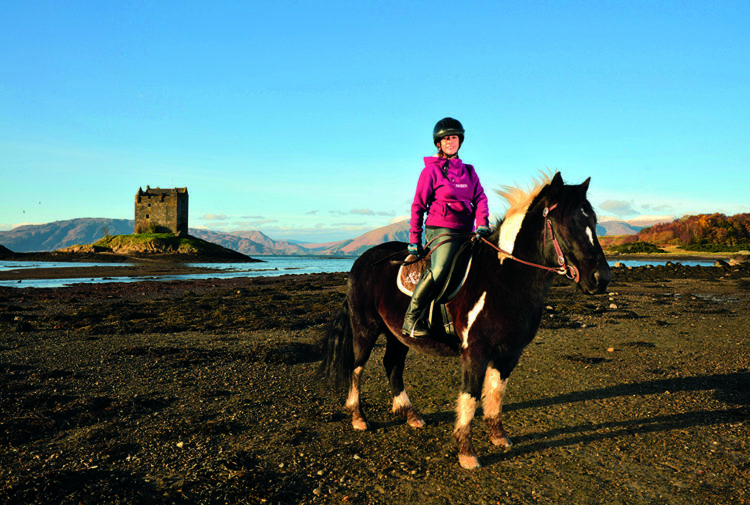 Sylvia has worked hard to build the breeding programme along her favoured ‘true to type’ working Highland pony lines. This, for her, is all about brain and bone – plenty of leg bone and plenty of calm intelligence – and no fizz or sharpness, as they have to be extremely calm, steady and unfazed by their work on the hill. Nice big solid feet, strong loins and back are also important, but temperament comes above all else. To this end, Sylvia choses which mares to breed from with great care. There are three Balmoral stallions standing at stud at the moment – Balmoral Mandarin, Balmoral Hercules and Balmoral Lord – and this means three main family lines, a good broad base from which to breed. The first of this year’s foals was born at the end of March, a home-bred from two homebred parents. ‘These foals are the future,’ says Sylvia with well-deserved pride as this young filly, full of curiosity, investigates us. 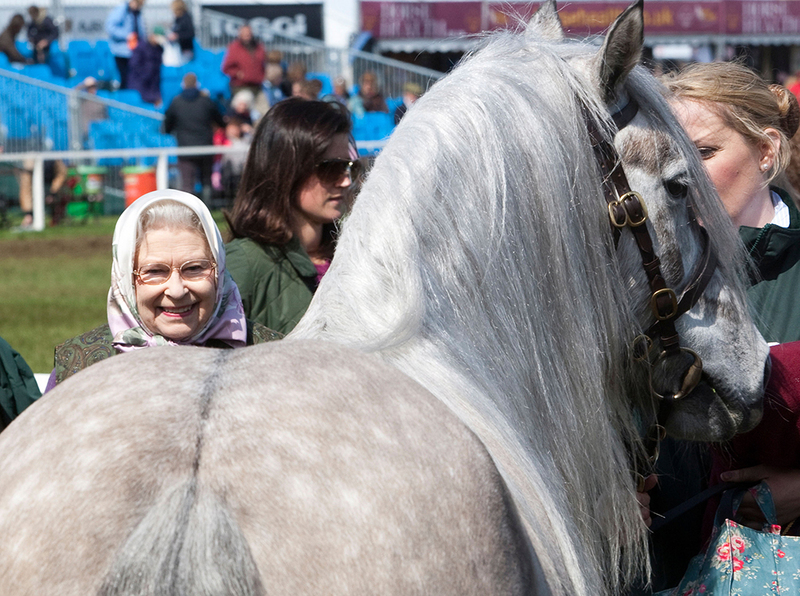 Every foal born at Balmoral is named by Her Majesty the Queen, who takes a keen interest in them (the stud is one of her first ports of call upon arrival at Balmoral) and she tends to have a theme each year – bird, island, or biblical names for instance. But she also loves to hear the stories of how a nickname has arisen, and may choose to adopt it. This foal has been nicknamed ‘Bonnie’ for now, as she was born on working pony groom Lucy Fernie’s wedding weekend and Sylvia knew how bonnie Lucy would be. Training starts from birth with handling, leading and general manners, all of which are fundamental to producing a pony which can maintain position and stay settled and in balance for carrying work on the hill. Sylvia also gets the foals used to the smell of deer from the beginning, by leaving deer skins out in the field and putting feed on them. As horses are a prey animal themselves, it’s vital that they learn to be relaxed around carcasses and the smell of blood. 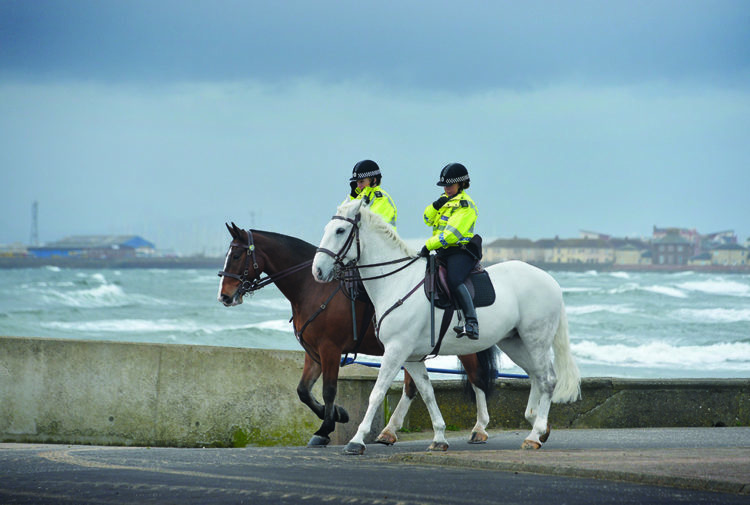 All the ponies are backed and ridden before being taught to carry. ‘Our ponies must be able to turn their hoof to anything,’ explains Sylvia. When ponies are learning to carry pannier baskets, Sylvia first ties a big round hay net on either side, front of saddle, which creates the ‘wide load’ that they have to get used to. The baskets are then put on behind, and when the youngster turns their head they find nice hay, not a scarey basket, and will get used to the feeling and creaking of them before they see them. As training progresses the hay nets are reduced in size until no longer needed. The pannier baskets, used to carry shooters’ kit and picnic, and the shot grouse, are specially made by a company in Glasgow, based on the template of an old set, with canvas tops stitched on to keep the contents dry. They connect like saddle bags, and are lifted on from behind by two people. worthy to breed from. They all happily ride out in company with mares and, equally, can be ridden away from their mares – a rare level of manners for a stallion. 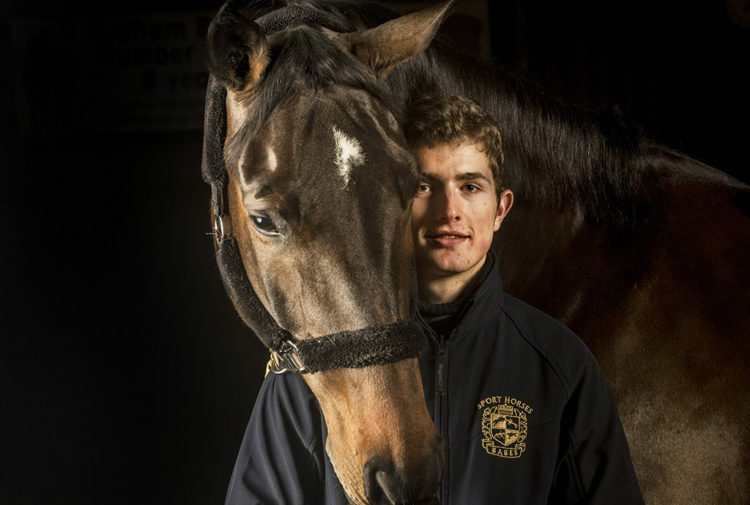 By way of example, Jordan, herself a native Mulleach (born on the Isle of Mull) whose childhood dream was to work with the Highlands, saddles up Balmoral Mandarin and puts him through his paces in the schooling arena, where he carries himself beautifully, with poise, balance and flowing paces. Lucy says Balmoral Hercules is equally obliging, and has had a ‘just tell me what to do and I’ll do it’ attitude all through his training. 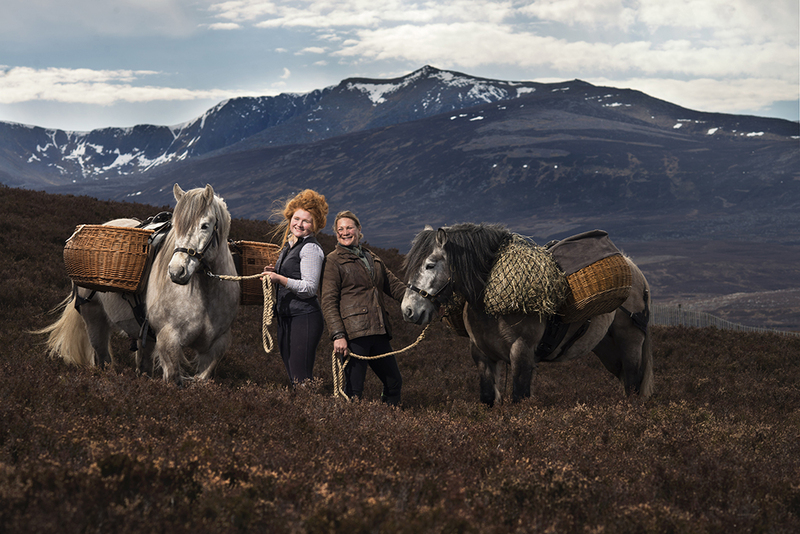 ‘The stallions are an absolute joy and pleasure to work with,’ says Sylvia, who became interested in the Highland breed when she met the Ormiston family and subsequently worked at Meggernie Estate in Glen Lyon for 15 years before coming to Balmoral. While tacking up Clunie, Sylvia explains that ‘the saddles have been designed by a saddler with my input based on a pre-WWI pack saddle’. Unusually and cleverly, they are hinged at the pommel and cantle, which makes them flexible through the gullet so that they are a snug fit on most ponies. Combined with a very wide cushion girth (like a weight lifter’s belt) which Sylvia has also designed, this has the effect of creating a vice-like fit to the pony’s sides, rather than weight bearing down on their back, while the snug fit ensures no movement and no rub or pressure points. The new saddles are significantly lighter than their predecessors which, at well over two stone, didn’t do their wearers any favours. They need to be at least 16 inches front to back to allow room for a stag or two hinds. On average, the beasts they have to carry are around 14 stone, with bigger stags weighing up to 18 stone. During the red deer season, when these ponies are out working long days, effective tack that helps rather than hinders, is vital. While on the hill, the ponies are led in simple leather headcollars and given a certain amount of freedom to pick their own way across the terrain. ‘I look after the ponies when they are on the hill, and I teach the ghillies how to handle the ponies and what to expect of them,’ explains Lucy. 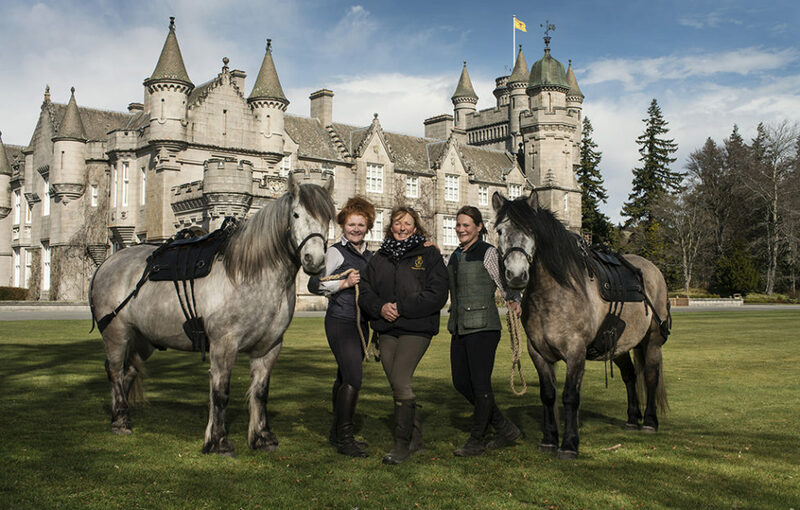 Balmoral has six beats, a total land area of over 64,000 acres, and they need two ponies on each beat, so an absolute minimum of 12 working ponies (not including the youngsters) is essential throughout the stalking season. Each pair has to live on their beat, as it would be too far to transport them there and back every day. Being a hardy Mountain and Moorland breed, I assume the Highlands are good doers. An Eric Gillie lorry delivers Balmoral Erica home, after her six-year sojourn down south being an ambassador for the Balmoral Highlands. Her successes include champion at Windsor and third overall at the Horse of the Year Show in the Pony Cuddy final. Now she is home to stud, to be put to Balmoral Lord – they both have the looks and with his bone and brain they should have a bonnie bairn. This feature was originally published in 2017.